The baroque church St. Peter and Paul greets you from high above the Main river in a predominant position - hiding an old historic little town with many refurbished half-timbered houses, narrow cobblestone lanes, and cosy wine taverns. This is the right atmosphere to immerse in Hochheim’s history and stories at a guided tour along with tasting local wines. 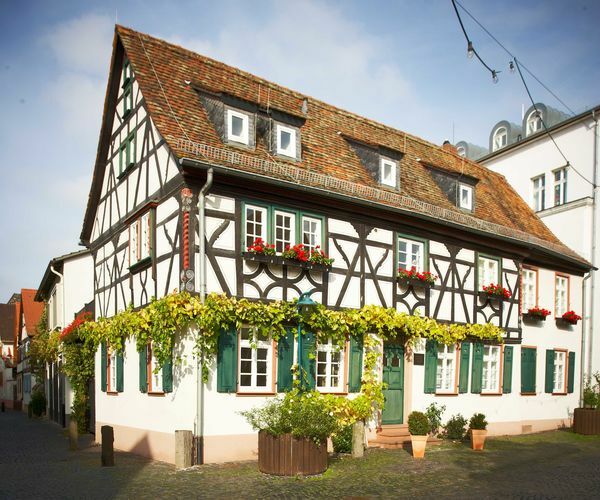 Additional highlights are the first wine museum in Hessen, Hochheim Art Collection, the Hochheim Wine Festival, and the traditional fair Hochheim Market in November. We warmly welcome you …to experience and discover the wine and Sekt (sparkling wine) town of Hochheim am Main! Narrow little lanes with gently restored half-timbered houses take you on a mysterious tour to bygone times. Be enchanted by the unique charm of Hochheim’s old town. 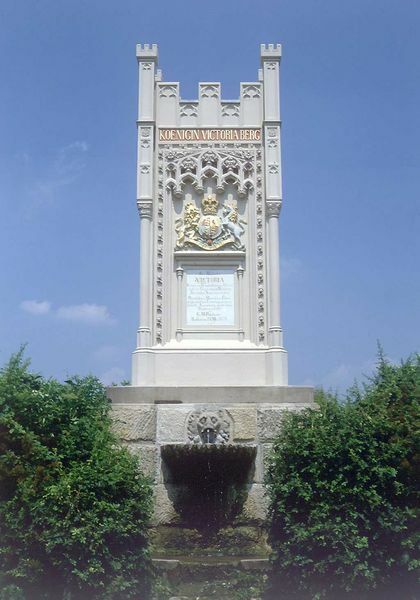 Four rural workers found the Madonna statue in a "Reul" (a narrow alley between two houses) in Wiesbaden-Biebrich in 1767. It is suspected that it had been hidden there from the impacts of the Thirty years’ war. 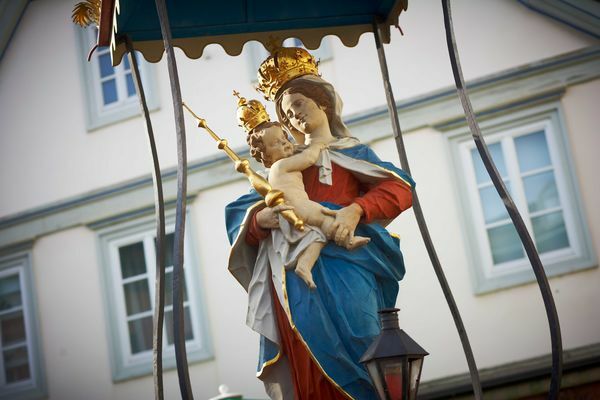 In 1770 the Madonna was raised on the former market square "Am Plan" by Hochheim’s citizens. It all started with British Queen Victoria and her famous journey along the Rhine river in 1845. As Queen Victoria had started fancying Hochheim wines, introduced by her German husband Prince Albert, she took the opportunity to have a short visit to the vineyard of wine-maker G.M. Papstmann. Based on the collection of district court counselor Otto Schwabe the museum shows findings of pre- and early history up to the 20th century. The collection presents contemporary art from a private permanent loan reaching from Picasso to Vostell. Town tours are guided by the Interessengemeinschaft Hochheimer Stadtführer. Information can also be provided by the municipality. Hochheim and the surrounding region can be discovered splendidly and eco-friendly on foot and by bike.